Stripe Custom and Express Connect customers will have the ability to seamlessly integrate their payments data with Payable’s 1099 tax service to generate, e-file, and deliver 1099 Tax forms. Stripe covers the full costs of e-filing and e-delivery (if selected by the recipient) for Stripe Custom and Express Connect marketplaces under standard pricing. 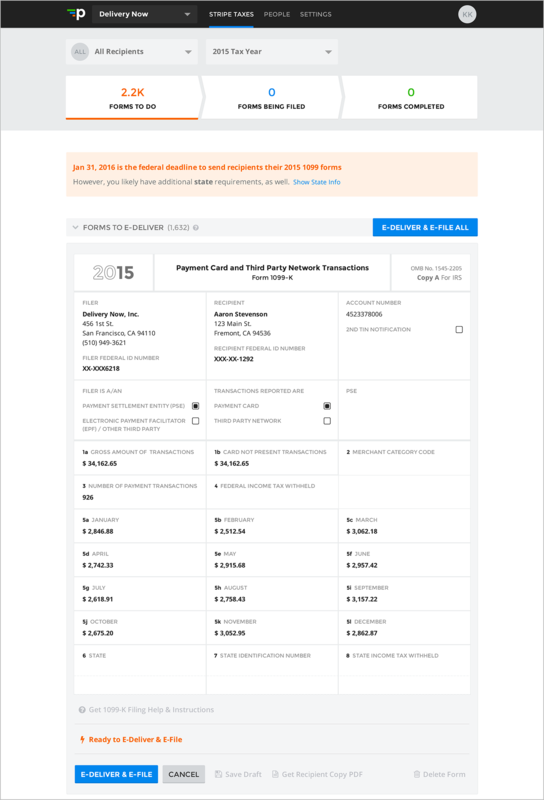 Stripe Custom and Express Connect and Recipient Transfers platforms can easily import their tax year payments data and recipient tax identification information with Payable to generate 1099-MISCs or 1099-Ks. 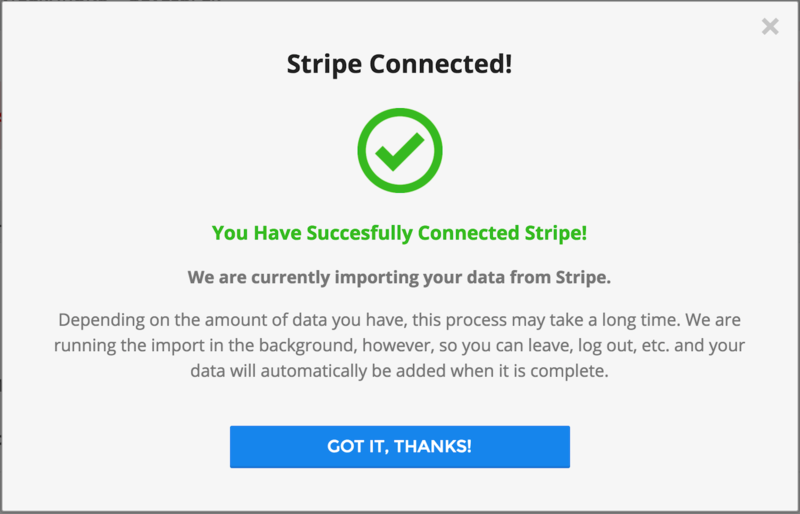 You can get the process started as soon as you receive the notification on your Stripe account around December. This notification will include the link that you need to access in order to connect to Payable. If you were unable to locate this notification please reach out to support@stripe.com. Their support team will help you get this resolved. Click on "Connect with Payable" to kick off the process. The import process will take at least 48 hours. For more info details about the sync review this help article. If you used Payable for 1099 forms last tax season, you'll be able to use the Payable account you already have. You can login to your Payable account here. Make sure to accept the Payable invite that was sent to your email address. Once you accept this invite you will be able to access your new Payable account. After account payments and recipient identification data has been imported and stored, we offer companies the ability to classify payments for either 1099-MISC, 1099-K, or a mixture of both for certain recipients. Head to the Taxes page of your Payable account and set up your company tax forms settings. We’ve built an entire 1099 Tax Center to help companies better understand requirements. Companies can also invite their accountant into Payable so they can guide them through the process and help with any tax forms related questions. 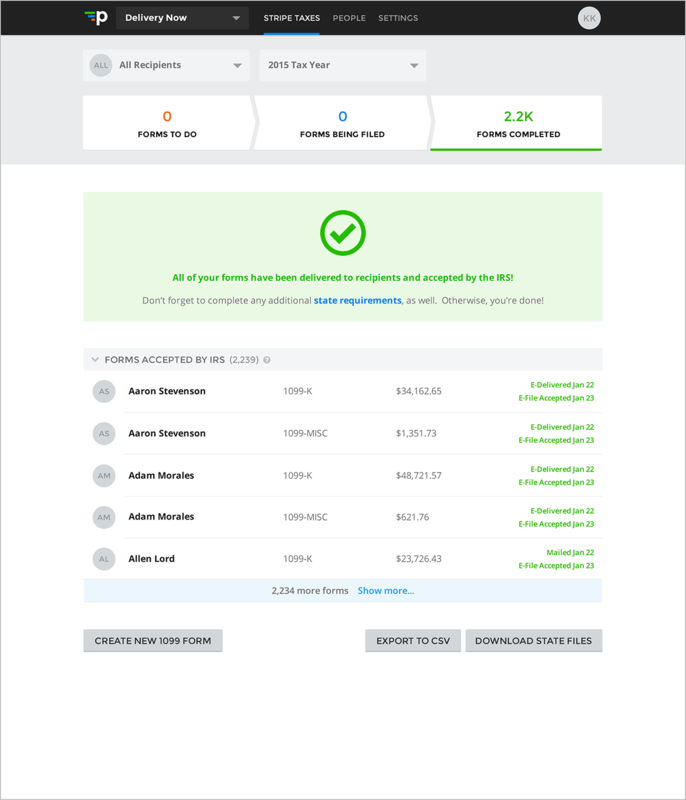 Once 1099 forms are generated and reviewed by your team, Stripe platforms can invite their 1099 recipients to Payable from The Taxes page. Recipients will have the ability to add info where missing, update out of date details, and/or confirm that all necessary tax data is correct. Companies can invite recipients to Payable in order to obtain their 1099 form delivery preference. Many choose e-delivery (saving you mailing costs). Companies are required by the IRS to obtain consent from the form recipient that they prefer e-delivery, or else the default is paper delivery. The IRS prefers e-filing, and actually requires it when a company files more than 250 1099 forms. Payable helps take care of e-filing forms with the IRS and Stripe covers this cost for Stripe Custom Connect customers. We’ll let you know that the e-filing process has been completed and successful for each recipient.